“I am an invisible man.” An idealistic young African-American man searches for identity and his place in the world in an epic journey through 1930s America. Ellison’s landmark American novel about race, power, freedom, and liberty comes to life in this Jefferson Award-winning gripping theatrical adaptation. “Invisible Man is one of the greatest novels ever written. As a meditation on the intricacies of race and class in American culture, it has not been surpassed.” — Dr. Henry Louis Gates, Jr. Hear what audiences are saying about the stage adaptation of Ralph Ellison's powerful American classic Invisible Man, and get a sneak peek at exclusive video of the production's stunning visuals. Come behind the scenes of Invisible Man at the Huntington and learn more about the adaptation of Ralph Ellison's powerful American classic in this exclusive interview with adaptor Oren Jacoby, director Christopher McElroen, and "Invisible Man" himself, Teagle F. Bougere. Watch scenes from the world premiere production of Invisible Man at the Court Theatre, featuring Teagle F. Bourege. Watch an interview with Invisible Man author Ralph Ellison from the Oklahoma Historical Society. "I am an invisible man." Huntington Artistic Director Peter DuBois discusses Oren Jacoby's stage adaptation of Ralph Ellison's powerful American classic Invisible Man. A quick tour of all 1,369 lightbulbs on the set of Invisible Man. From WGBH: Basic Black welcomes actor Teagle F. Bougere to the studio for a conversation on the themes raised in the play Invisible Man. Also featuring Latoyia Edwards, Phillip Martin, senior reporter, Kim McLarin, and Barbara Lewis. From NPR about the challenges and ambitions of adapting Ralph Ellison's seminal work for the stage. Featuring interviews with adaptor Oren Jacoby, director Christopher McElroen, and actor Teagle F. Bougere. "(What did I Do to be so) Black and Blue"
Hear a recording of Louis Armstrong performing Fats Waller’s "(What Did I Do To Be So) Black and Blue." RadioBoston host Meghna Chakrabarti speak with Invisible Man director Christopher McElroen about the process of bringing this landmark adaptation to the stage. Created and curated by the Huntington's Education department, the Invisible Man curriculum guide provides teachers with educational resources to use in conjunction with the play. Learn more about our Student Matinee programs. Enjoy a series of brief interviews with the cast of Invisible Man. On the 60th anniversary of its publication, Ralph Ellison’s landmark novel remains as compelling and provocative, treasured by scholars and casual readers alike. Several scholars reflect on why Invisible Man has remained a touchstone of American literary culture. When Ralph Ellison insisted that no adaptation of his iconic novel Invisible Man be made until after his death, he wasn’t merely being possessive. “Ralph was a stickler and a perfectionist and he was not persuaded it could be done,” explained his friend and literary executor, John Callahan. But while its author’s censure, its narrative scope, and its legendary status might seem daunting to the adaptor, Invisible Man is a work primed for performance. Read Ralph Ellison’s National Book Award acceptance speech. "After Invisible Man by Ralph Ellison, the Prologue"
Learn about the photograph that inspired this production’s design. A short biography on Invisible Man author Ralph Ellison, courtesy of Adrien-Alice Hansel, Literary Director at Studio Theatre. An essay by adaptor Oren Jacoby on the inspiration and process of adapting Ralph Ellison's Invisible Man for the stage. From Basic Black on WGBH, Jan. 11, 2013: Basic Black welcomes actor Teagle F. Bougere to the studio for a conversation on the themes raised in the play Invisible Man, based on Ralph Ellison's seminal work and currently on stage at The Huntington. From BU Today, Jan. 9, 2013: "Boston audiences can see Ellison’s Invisible Man played out in a lavish theater adaptation that drew raves in modestly staged Chicago and Washington, D.C., productions before being brought to the BU Theatre by the Huntington Theatre Company. . . . "
From The Boston Globe, Jan. 5, 2013: "Ralph Ellison’s enduring novel, Invisible Man, vibrates with rich language and imagery. It probes the great themes of American literature — the inequities of race and class, the struggle for success, the search for identity — yet for almost 60 years, it was never made into a movie or a play. Recently, that changed . . . "
From The Boston Globe, Jan. 5, 2013: "When was the first time you felt invisible? When was the last time you looked right through someone, as if he wasn’t there? Director Christopher McElroen posed those questions to his cast when he began rehearsing the stage adaptation of Invisible Man . . . "
From The Boston Globe, Jan. 5, 2013: "Invisible Man projection designer Alex Koch, 30, is a founder of Brooklyn, N.Y.-based design group Imaginary Media Artists. Recently, he sat down at the Huntington Theatre Company to talk about the show. . . . "
From The New York Times, Jan. 4, 2013: "The estate of Ralph Ellison had never allowed his classic 1952 novel Invisible Man to be adapted for another medium, until Oren Jacoby came along. And even after Mr. Jacoby turned the 439-page book into a play — with not a word of new dialogue, as part of the agreement — many theaters passed on staging it, calling it unwieldy or wrong for their audiences. . . . "
From NPR, Oct. 3, 2012: "On a farm in Waitsfield, Vt., in 1945, a Merchant Marine cook named Ralph Ellison was resting after his tour of duty. 'One morning scribbling, I wrote the first sentence of what later became The Invisible Man: "I am an invisible man,"' Ellison recalled in an interview for National Educational Television. . . . "
From Chicago Tribune, Jan. 12, 2012: "Can you do a play about an invisible man? About an African-American whom others simply refuse to see? Ralph Ellison, it seems fair to surmise, thought probably not. . . . "
McKinley Belcher III previously appeared in A Guide for the Homesick (2017), Smart People (2014), and Invisible Man (2013) at the Huntington. 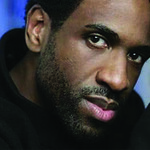 Teagle F. Bougere previously appeared in the Huntington's production of Invisible Man (2013). Mr. Bougere has Broadway credits that include A Raisin in the Sun and The Tempest. 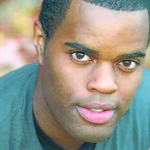 Off Broadway credits include A Soldier’s Play and Wings (Second Stage Theatre), and Henry V, Anthony and Cleopatra, Timon of Athens, and Space (The Public Theater), and A Fair Country (Lincoln Center Theater). 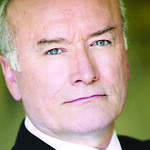 Brian D. Coats previously appeared in Invisible Man (2013) at the Huntington. He has New York credits that include On the Levee (Lincoln Center Theater/LCT3), Mongo and La Ruta (Working Theater), The Merry Wives of Windsor and Two Gentlemen of Verona (The Public Theater), and more. He is a graduate of the University of North Carolina’s School of the Arts. 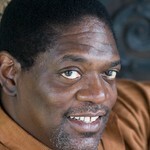 Johnny Lee Davenport received an IRNE Award nomination for his role in Vengeance Is The Lord's (2010) at the Huntington. 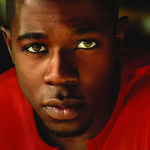 He was named Best Actor in Boston Magazine for his body of work during the 2010-2011 Season. 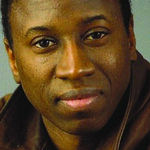 De’Lon Grant previously appeared in Invisible Man (2013) at the Huntington. He has regional credits that include Troilus and Cressida and Cymbeline (Actors’ Shakespeare Project), Big River, Superior Donuts, and The 25th Annual Putnam County Spelling Bee (Lyric Stage Company), and many others. Edward James Hyland previously appeared in Invisible Man (2013) and Heartbreak House (2002) at the Huntington. He has been seen on Broadway in Arcadia, The Man Who Had All the Luck, Festen, The Price, andAh, Wilderness! 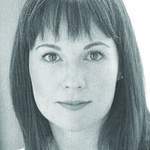 Joy Jones has New York credits that include Zaide (Lincoln Center Festival), among others. She earned her MFA from the University of North Carolina Chapel Hill, where she won the Samuel Selden Award. 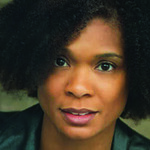 Deidra LaWan Starnes previously appeared in Invisible Man (2013) at the Huntington. She has appeared in Passing Strange, In the Red and Brown Water, andRadio Golf (Studio Theatre), Intimate Apparel (Helen Hayes Award), and many more. 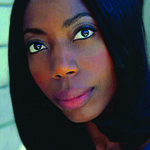 She received her BA in theatre from the University of Maryland and her MFA in drama from the University of Connecticut. Julia Watt returns to the cast of Invisible Man (2013) having appeared in the world premiere production at Court Theatre in Chicago. 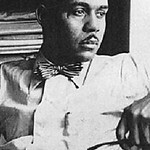 Ralph Ellison (1914-1994) was an American novelist, literary critic, scholar, and writer. He is best known for his novel Invisible Man, which won the National Book Award in 1953. Oren Jacoby's Invisible Man (2013) has been produced by the Huntington. Mr. Jacoby has directing credits that include Theater for the New City, Westbeth Theater, and Williamstown Theatre Festival. 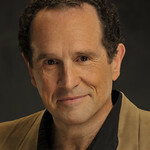 His credits as dramaturg include productions at Trinity Repertory Company and Dallas Theater Center. Christopher McElroen directed Invisible Man (2013) at the Huntington. He is a New York based producer and director. He co-founded the Classical Theatre of Harlem (named “1 of 8 Theatres in America to Watch” by the Drama League) where between 1999 and 2009 he produced 41 productions that yielded 18 AUDELCO, six Obie, and two Lucille Lortel Awards and a Drama Desk Award. 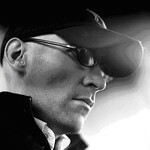 Troy Hourie previously designed the set for the Hungtington's production of Invisible Man (2013). 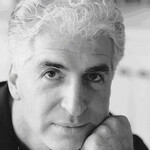 He has designed sets for over 275 productions of various Off Broadway, regional, and opera productions. Kathleen Geldard returns to the Huntington having previously designed Invisible Man and Ruined. David Remedios has previously composed music and sound for Ryan Landry's "M" (2013), The Luck of the Irish (2012), Before I Leave You (2011), and Prelude to a Kiss(2010) and sound for Invisible Man (2013), Now or Later (2012) and Circle Mirror Transformation (2010) for the Huntington. Alex Koch, IMA previously designed projections for Tiger Style! (2016) and Invisible Man (2013) at the Huntington. He has designed on Broadway for Irena’s Vow (Walter Kerr Theatre). Recent New York credits include Goodbar (with Waterwell for Under the Radar 2012), Feeder (TerraNOVA Collective), En el Tiempo de las Mariposas and La Casa de los Espiritus (Repertorio Espanol), ReEntry and The Oxford Roof Climber’s Rebellion (Urban Stages Theater), and Lenin’s Embalmers (Ensemble Studio Theatre). Robb Hunter previously worked on the Huntington's production of Invisible Man (2013). Mr. Hunter has regional credits that include Superior Donuts, American Buffalo, Legends!, reasons to be pretty, and The Walworth Farce for which he received a Helen Hayes Award nomination for Outstanding Choreography (Studio Theatre).